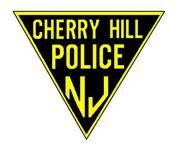 On Nov. 2, Cherry Hill Police conducted a motor vehicle stop in the area of Route 38 eastbound and Chapel Avenue. During the course of the motor vehicle stop, a search was conducted of the vehicle and occupants. More than 500 bags of suspected heroin were located in the vehicle during the search. The suspected heroin was packaged consistent with the distribution of a controlled dangerous substance. Drug paraphernalia was also located inside the vehicle. The occupants, a 24-year-old man from Rahway and a 23-year-old man from Piscataway, were arrested and charged with possession of CDS, possession of CDS with intent to distribute and possession of CDS paraphernalia. Both men were released on summons pending a court appearance.